Sweet treats and cute finds — including a Fran's egg you can only get in Seattle. It’s a week until Easter, and you’re probably all stocked up on cute pastel dresses and little candy eggs. But if you need one or two more treats for the kids — or the young at heart — check out these festive finds. Green Toys Flower Maker Dough Set ($25 at greentoys.com). 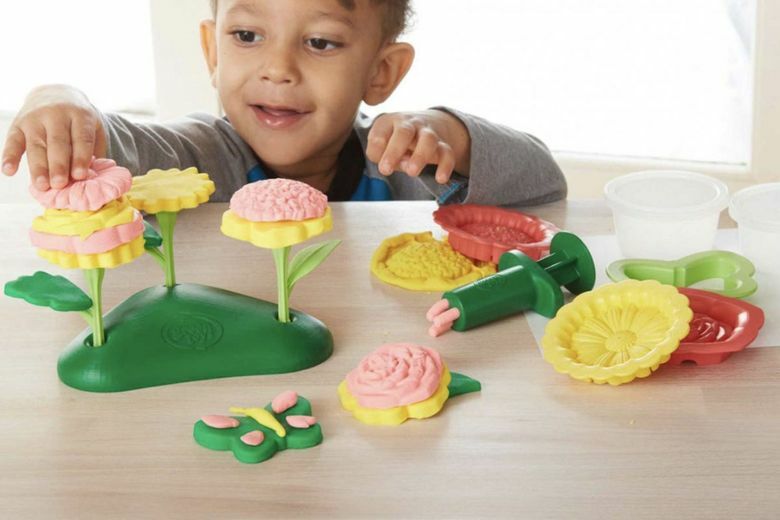 Who needs sugar when you can have this sweet as pie, eco-friendly play-dough set? The new 21-piece kit includes flower cutters and stamps, leaf molds, three tubs of organic dough and more, for a blooming indoor garden. 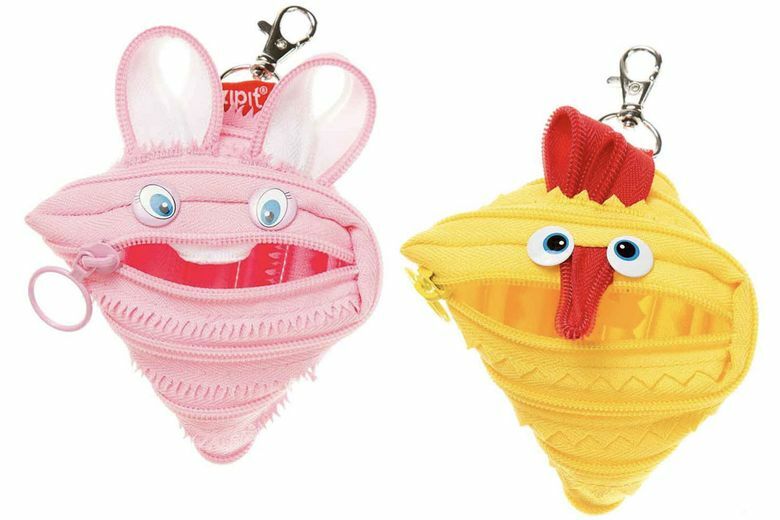 Zipit Animals Easter Mini Pouch ($5.50 at amazon.com). Silly and cute — just like the kids — these little zipper pouches feature rabbit and chicken faces, and can be packed with a few sweet treats for the holiday. Come Monday morning, they are a great addition to the backpack, sized just right for loose change, a set of keys or those always-elusive earbuds. Trophy Cupcakes Hi-Hat Cupcakes ($5.50 each at Trophy Cupcake locations). Available for just three days out of the year — March 30–April 1 — these decadent treats are the perfect end to Easter brunch. They feature a rich French-chocolate cake topped with a sky-high swirl of house-made marshmallow meringue that’s then dipped in Belgian bittersweet chocolate. It’s a treat that looks as good as it tastes. 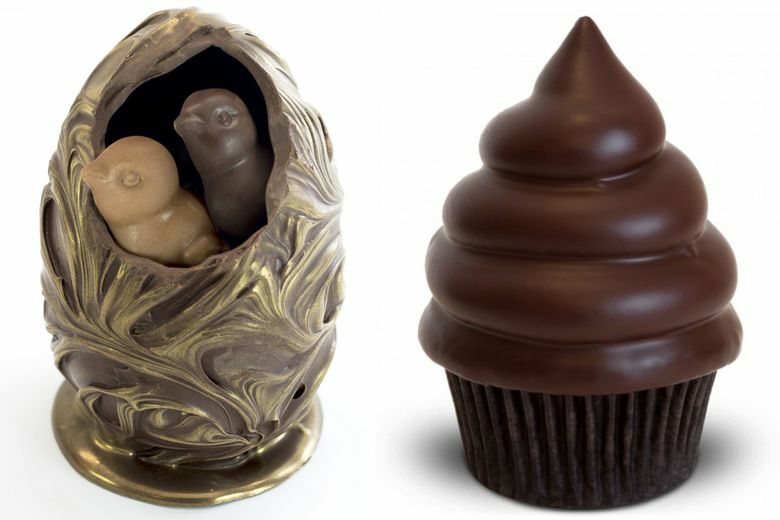 Fran’s Treasure Egg ($30 at Fran’s stores, downtown, University Village, Bellevue and Georgetown). Swap out the old hollow chocolate bunny for something considerably more luxe. Available only at Fran’s Seattle-area stores, this 64 percent dark-chocolate hollow egg has a textured exterior with hand-dusted gold accents. Inside, it’s filled with three dark-chocolate caramel chicks and three milk-chocolate caramel chicks. 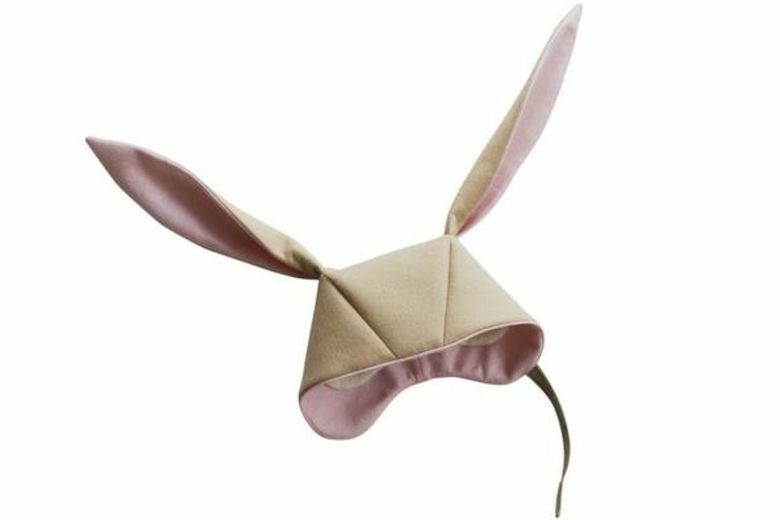 Little Goodall Bunny Hat ($40–$44 at littlegoodall.com). Win Instagram this Easter with these adorable oversized bunny-ear hats made from wool felt in a variety of colors. All are lined with cozy organic-cotton Sherpa fabric for a cozy fit, and include an adjustable chin strap lined with a matching grosgrain ribbon that’s soft on the skin. Pretty enough for a picture, yes, but also practical enough to wear on chilly mornings to come.